I am very confused with MLB scheduling. I can’t figure out how any of it makes sense and can’t see how it could possibly be fair, especially with Interleague games. The Red Sox, for instance, face NL teams that are a combined 27 games over .500 while the Yankees face teams a combined 20 games under .500. How can that possibly be fair? Or how about the fact that the teams withthe four hardest strength of schedules are all from the American League East, but the Yankees are not one of them (they are 13th). The teams with the 11 highest strength of schedules are all American League teams and the teams withthe 11 lowest strength of schedules are all National League teams. I know the AL is beating up on the NL, but is that what creates this ridiculous difference. Even crazier, of those 11 NLteams with easy schedules, only 6 have records above .500 while of those 11 AL teams with tough schedules, only 4 have records below .500. Thus, the teams with easy schedules are losing and the teams with tough schedules are winning. Wouldn’t that suggest that those 11 AL teams are an incredibly amount better than those NL teams? Amongst those 11 NL teams are all three NL division leaders, the Phillies, Cubs, and Diamondbacks. Are we really supposed to expect the NL to contend with the AL? How is it fair for the Tampa Bay Rays with a SOS (Strengthof Schedule) of .536 to contend with the Yankees who have an SOS of .506. Those 30 points may not seem like much, but that is a big difference. The Red Sox have a .519 SOS. 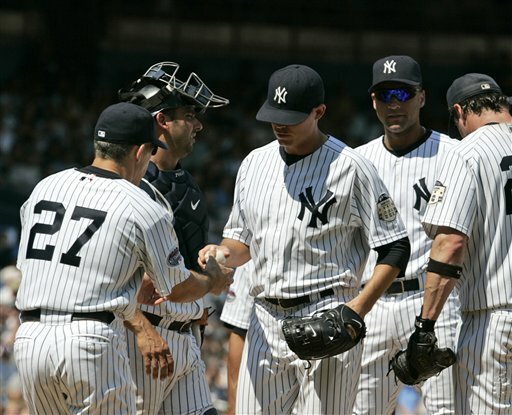 The Yankees face the Pirates, Padres, and Mets while the Red Sox face the Phillies, Cardinals, Diamondbacks, and Brewers in Interleague play. Okay I’m clearly a Red Sox fan who is just whining about an unfair schedule. The thing that I cannot understand is how can two teams in the same division have such dramatic differences in schedule? No other sport is like this. If Interleague play exists, then everyone should play everyone. How else can the Wild Card truly be decided? If the Angels play teams from the NL West and the Rays play teams from the NL Central, the Angels are going to win more games and thus have a better shot at the Wild Card. It is completely unfair to deny the Rays a playoff spot in that situation, because they lost based on scheduling. I just cannot understand how this works in MLB. Maybe the schedules will fix themselves out in the end and SOS will become much more even, but I don’t think so. Interleague play throws everything off and gives certain teams easier roads to the playoffs while it gives other teams tougher roads. This is not to mention the fact that the rules are different in the American League versus the National League. It is tough to build a team for the AL, DH included, and then play that team under NL rules. The same is true fo r an NL-built team having to play with a DH. Is Interleague play really necessary? I guess fans are supposed to enjoy it, but doesn’t Interleague play remove some of the integrity of the game? Plus, it is an embarrassment for the National League. Everyone thought that the NL was catching up to the AL. Nope. The AL is dominating Interleague play once again, currently owning a 116-83 record, which is on pace to be the second biggest blow out since Interleague play began. Do NL teams really enjoy watching their league turn into a mockery? Do they enjoy watching the Kansas City Royals win 12 of 15 games against NL opponents? Do they like watching the upstart Tampa Bay Rays sweeping their beloved Cubs, leaders of the NL? These are all questions MLB commissioner Bud Selig should look seriously at and decide: Is it worth it? 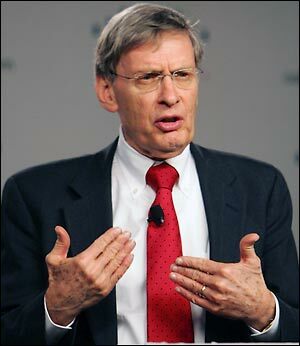 When he looks his league square in the eyes and thinks about the consequences of Interleague play, Selig will realize it needs to stop. It brings in more revenue for teams and gives fans a glimpse at the other league, but it is hurting baseball and takes some of the fairness out of the sport. It has been 11 years since Interleague play began and MLB needs to admit that this experiment failed. Go back to the old schedules and let the World Series be the only time an American League and National League team play each other. You dam Boston fans all you do is whine about everything!! We have to have two teams in are city you guys are a bunch of overrated morons!!! I’m a Yankees fan, so my opinion may sound biased, but I believe I have the reason. Scheduling is done before the season begins. It is impossible to figure out which teams will be where. Take the Rays this year. Would anyone believe they’d be in first place nearing August? No. And I think it would be unfair to based the schedule off of how good each team is. The only fair way to do it is by chance. When you make assumptions about teams, then you make things unfair. At least the way it is handled now, no one assumes anything. Interleague play was brought in for one reason, though…money. Cities like Chicago and New York benefit a lot from Interleague play. In the end, that’s all that matters to Bud.